May 31st in Wordpress Plugins by Wordpress Jedi . Many of us have a search box on our WordPress website or WooCommerce store. Have you ever wondered what people actually search for on your website? 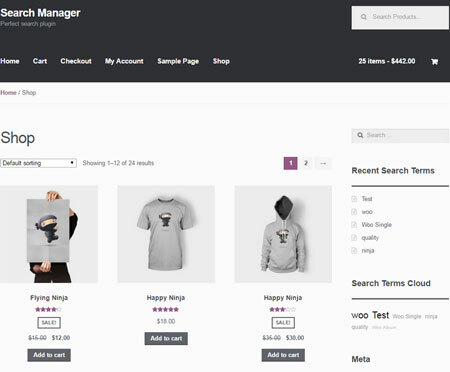 Search Manager for WooCommerce & WordPress can help. It is a simple plugin that lets you see search statistics and create redirect search terms. You will also be able to enable search autocomplete functionality on your site. The Search Manager plugin lets you see search statistics in the back-end. 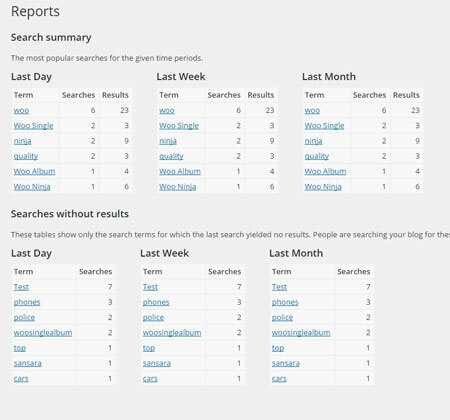 The plugin comes with widgets to show recent and popular search terms. You also get a search terms cloud. Users can forward users to product pages, category, blog post, or a custom URL. Search Manager simply helps you monitor what people search for on your website. This is a commercial plugin.